- Adaptive cutting knife: Whether thin edge or thick veneer edge - always the right power. - Adaptive pressure unit: Solid wood or thin edge - the pressure combination always fits. - Automatic glue quantity control: MDF or chipboard - always perfect glue application. - Automatic rinsing routine: Clean at the touch of a button. - Residual adhesive quantity monitoring: Always know what&apos;s still possible. 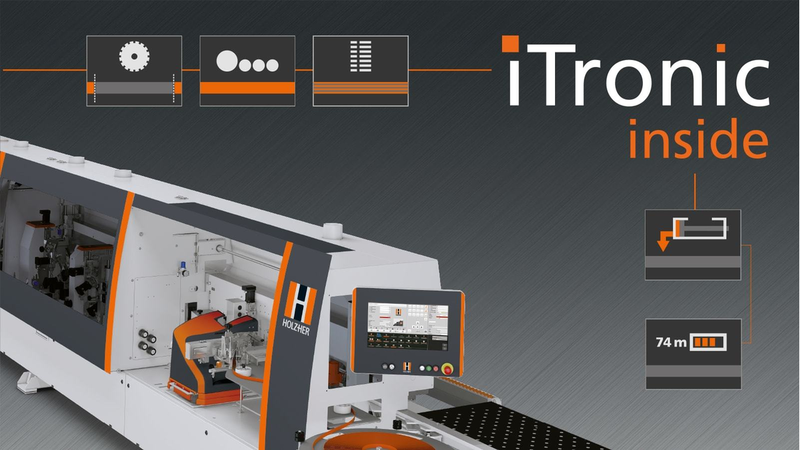 iTronic will be demonstrated at LIGNA on various edge banding machines. Just drop by and see for yourself.